Artist and photographer Simon Frederick’s follow-up to Black Is The New Black – They’ve Gotta Have Us – gives BBC Two viewers a unique insight into the film industry from some of its biggest names. The series charts the revolutionary rise in just a lifetime of black actors and filmmakers as they have gone from being the backdrop or disposable to calling the shots. This unique three-part series is the inside story of the biggest turning points, the triumphs and heartbreaks of black life on both sides of the lens, from Sidney Poitier and Harry Belafonte, to the present day triumph of Moonlight at the Oscars and Black Panther at the box office and confirms what black artists already knew; the talent and creativity was always there, underscored by a rich and meaningful oral history. Throwing off the shackles of Hollywood’s racial stereotyping, the renaissance has taken much longer than anyone could have imagined. But as They’ve Gotta Have Us reveals, this hard won freedom has finally ushered in a new dawn. Contributors include filmmakers and actors such as Harry Belafonte, Barry Jenkins, Jesse Williams, John Boyega, Don Cheadle, David Oyelowo, Debbie Allen, Diahann Carroll, Nelson George, Will.i.am, John Singleton and Natalie Emmanuel. The first episode opens at the Oscars, with Warren Beatty and Faye Dunaway announcing that Damien Chazelle’s musical La La Land had won. However, in arguably one of the most memorable moments in the ceremony’s recent history, amid an onstage melee and calls that there had been a mistake, just like that Moonlight became the first film with an all-black cast to win Best Picture. This win was nothing short of historic. Moonlight became the first Best Picture winner about black characters that is not about racism and the first about an LGBTQ character. The film became a symbol for black cinema, a revolutionary moment when diversity and inclusion really started to take over the industry. 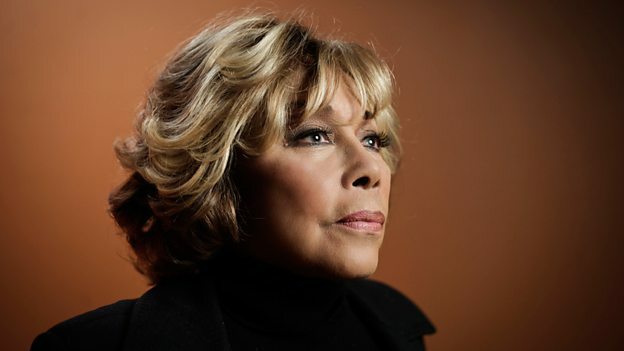 To try and understand what led to this moment, three of the most revered and celebrated professionals to have graced the silver screen: Harry Belafonte (91), Earl Cameron (101) and Diahann Carroll (83 – pictured above) share honest, candid recollections about what it was like to be a pioneer in a white world. Harry and Earl share first-hand stories about being romantic leads at a time when interracial relationships were banned, and the ingenious strategies Harry Belafonte and Sidney Poitier embarked upon to do to change the status quo. The film also features two directors whom they inspired, the ‘rule breakers’ who ripped up the book and created genre-busting films that inspired both their peers and future generations: Robert Townsend and Spike Lee.